KTM India is gearing up to have a vivid 2019 as a range of new launches in different segments has been planned. 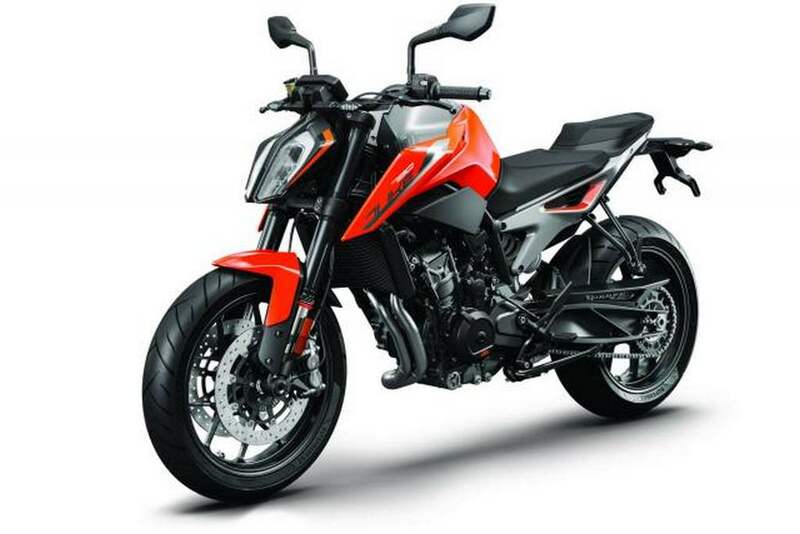 The arrival of the recently launched entry-level Duke 125 has proved to be a good move for the Austrian brand as it quickly became the best-selling motorcycles within the domestic lineup in no time. On the other end of the spectrum, KTM will be hoping for good fortunes in the middleweight segment with the upcoming Duke 790. 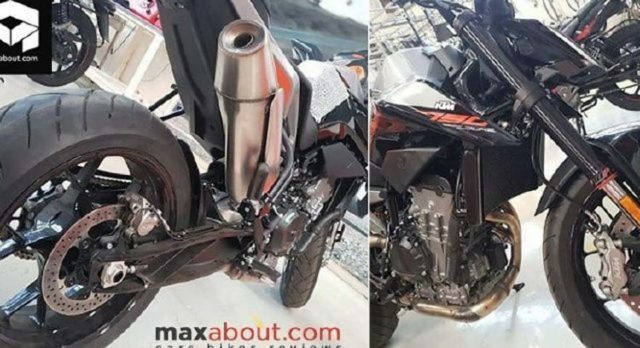 The flagship naked streetfighter for India has long been rumoured to enter the market and the speculations strengthened in recent times when KTM indicated that the model was being considered for local customers. With the launch fast approaching, some dealerships across the country have already commenced unofficial bookings for an initial token of Rs. 10,000. Standing in testament to its impending arrival, for the first time ever, the Duke 790 has been spotted in India. The pictures were said to be snapped at a dealership but we think it could have been done at Bajaj’s Chakan production facility. KTM will bring the Duke 790 as a CKD (Completed Knocked Down) kit before meeting the local assembly. Thus expect it to be priced around Rs. 8 lakh (ex-showroom). 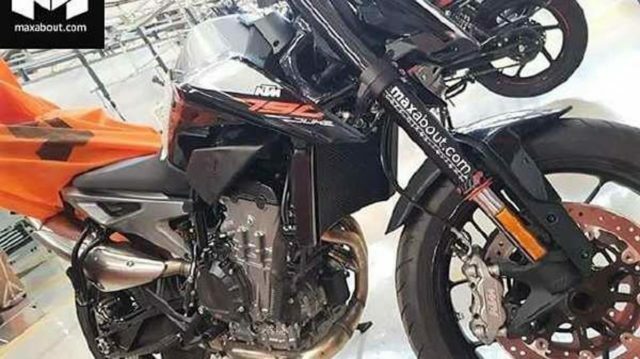 Several reports indicate that KTM will primarily target the customers pursuing to buy the Triumph Street Triple RS by aggressively pricing the Duke 790 against it. It could carry a price tag at least Rs. 1 lakh less expensive than the British rival. The Duke 790 comes equipped with a brand new 799 cc parallel-twin liquid-cooled fuel-injected motor. It is good enough to produce a maximum power output of 105 bhp and 86 Nm of peak torque, and is connected to a six-speed transmission with slipper clutch as standard feature. It is loaded with a whole host of driver aids and equipment such as TFT digital instrument cluster, Anti-lock Braking System, cornering ABS, launch control, traction control and different driving modes.